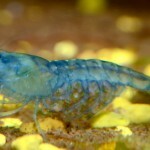 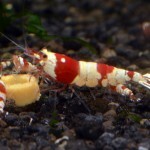 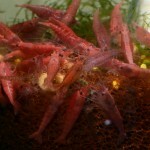 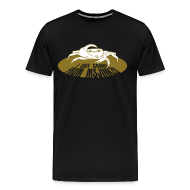 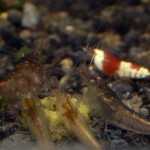 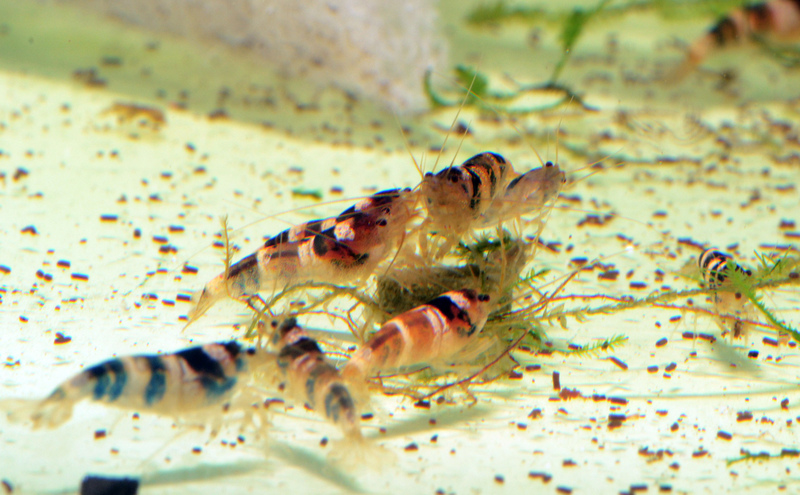 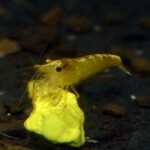 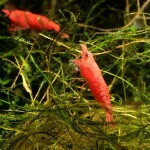 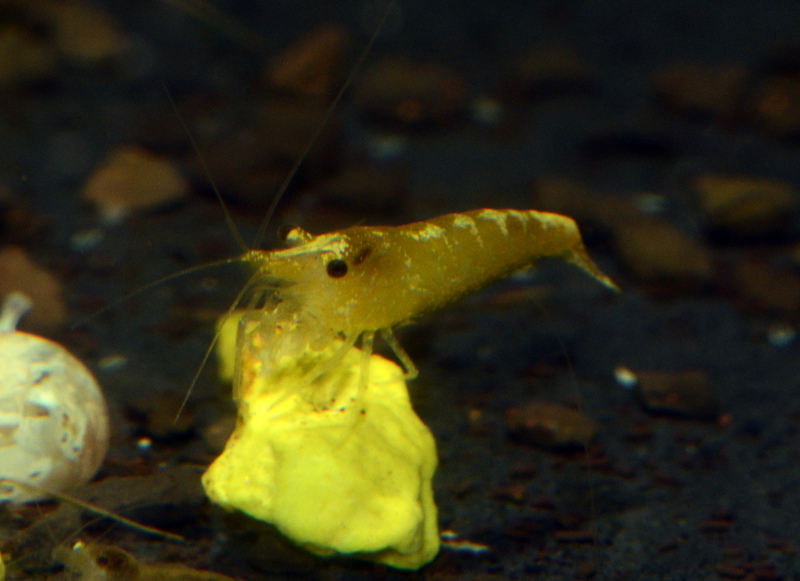 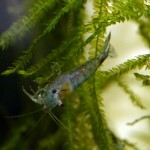 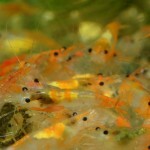 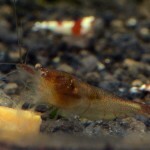 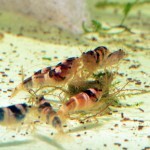 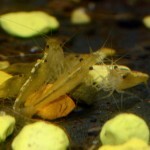 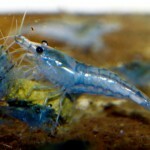 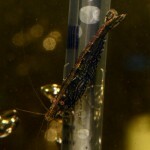 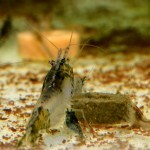 Home » News » Feeding advice for shrimp! 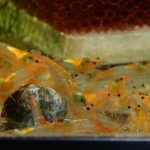 Shrimp balls ensue! Many of you who have attended my presentations already know that I feed my shrimp tanks quite sparingly. 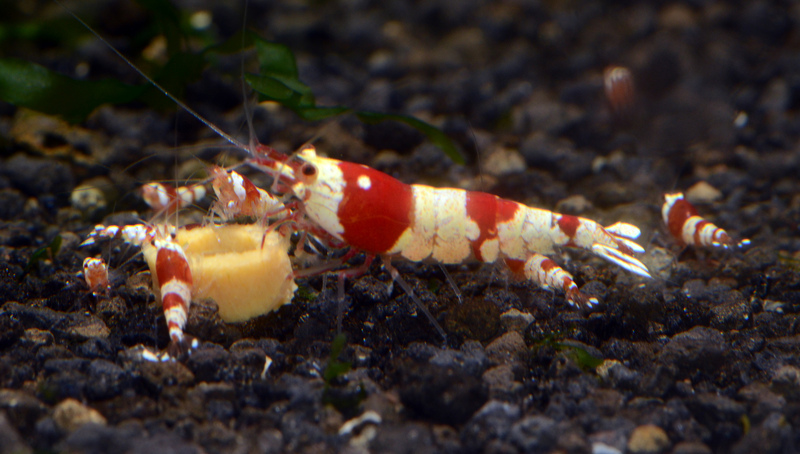 I generally feed 1-2 times a week, and then a very small quantity. 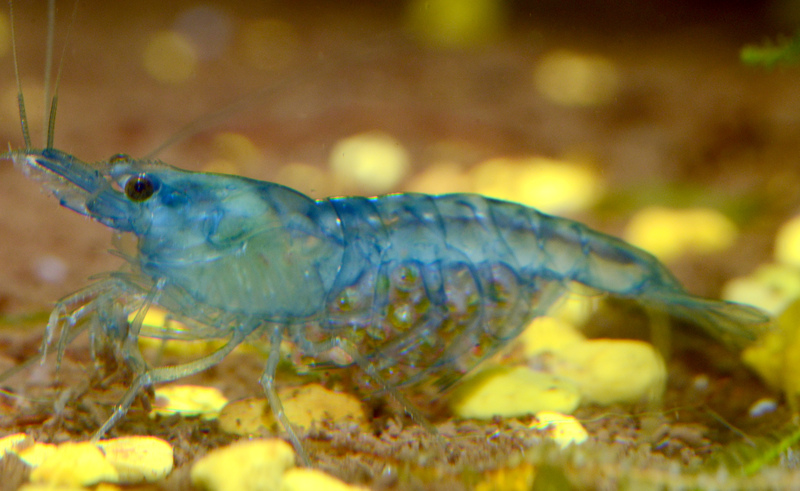 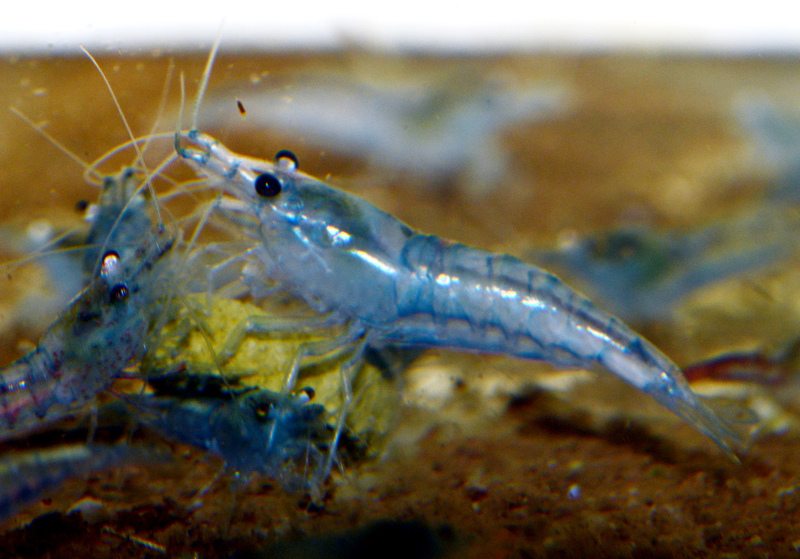 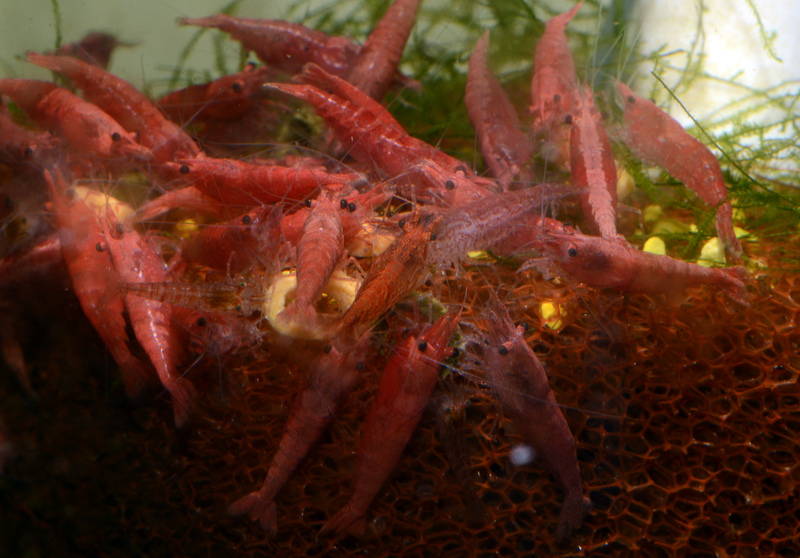 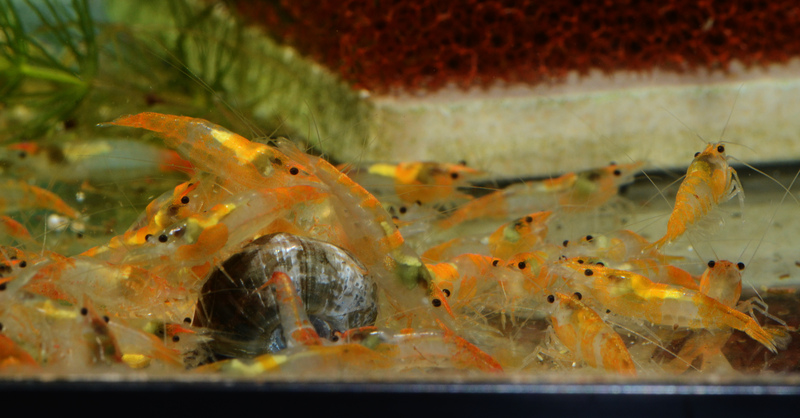 Overfeeding is a major issue in shrimp tanks, as the tanks are generally smaller in volume, and fluctuations of parameters are more common with less dilution. 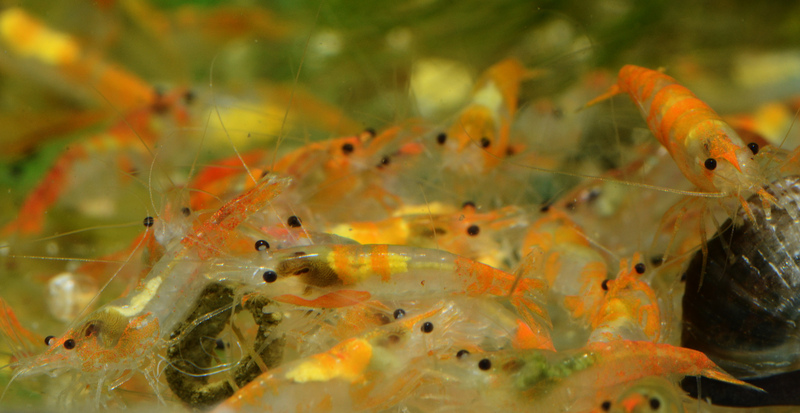 Since shrimp are intolerant of these fluctuations, care should be taken to keep the tank parameters as stable as possible. 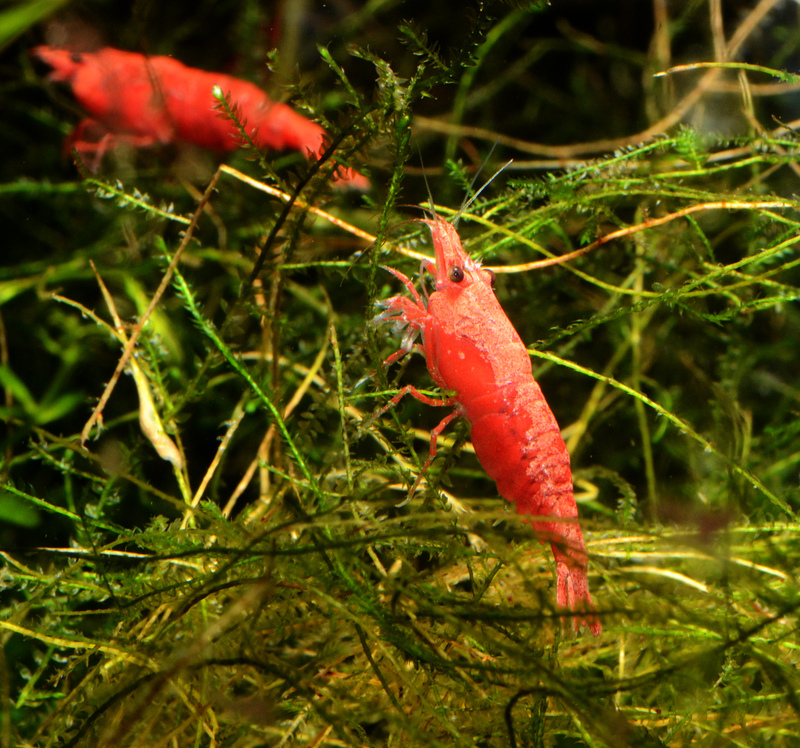 The easiest way to do this is to make sure the tank is well established, and to do preventative regular maintenance of small frequent water changes. 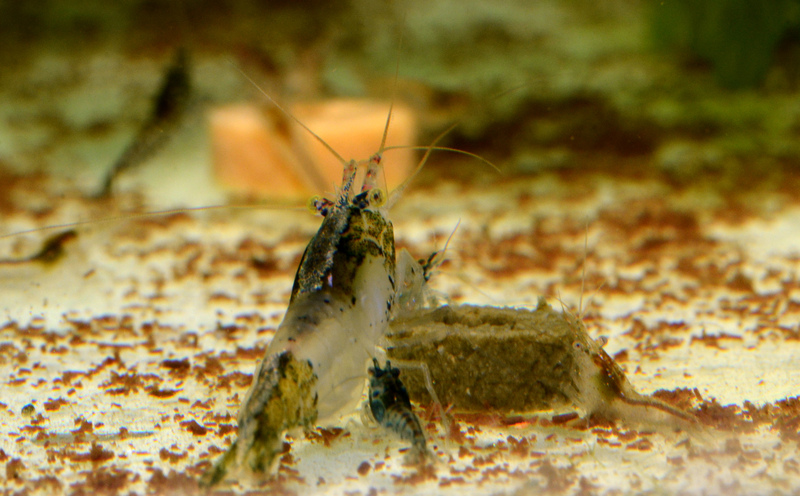 Overfeeding can also lead to secondary pests like Planaria or Hydra, as well as booming populations of pest snails. 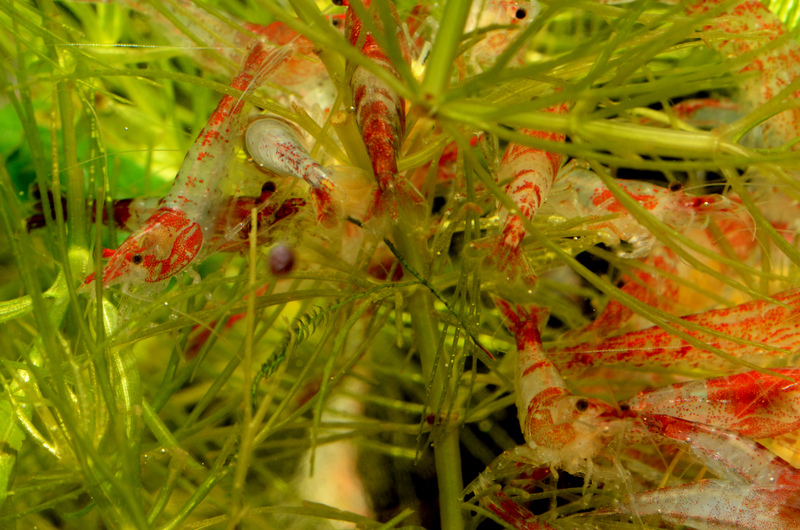 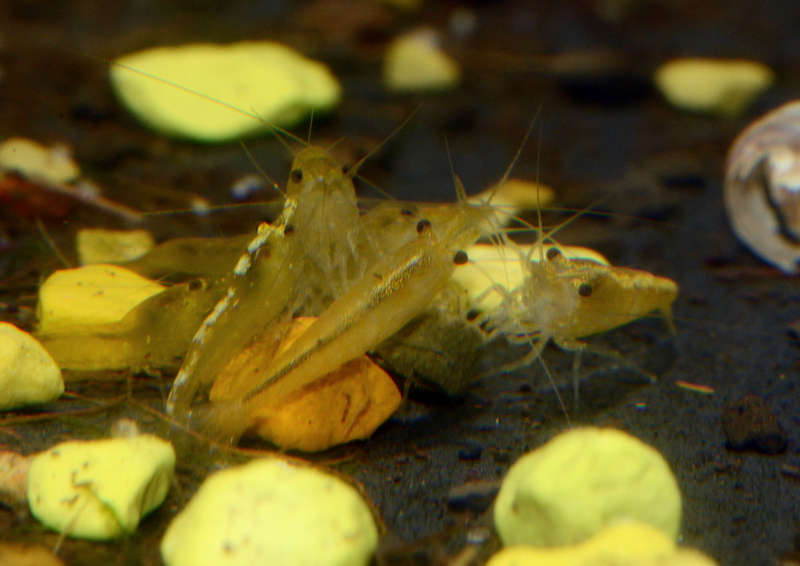 You can usually tell when shrimp are truly hungry, as they swarm about the tank, rather than grazing peacefully. 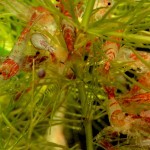 If they are picking at plants, decor, and the substrate, they are generally content and don’t require supplementation. 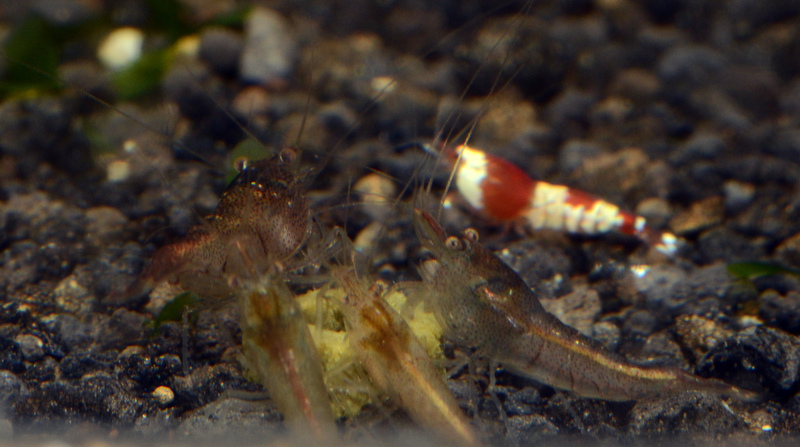 With this being said, they sure do appreciate it when you do offer them delicious little morsels. 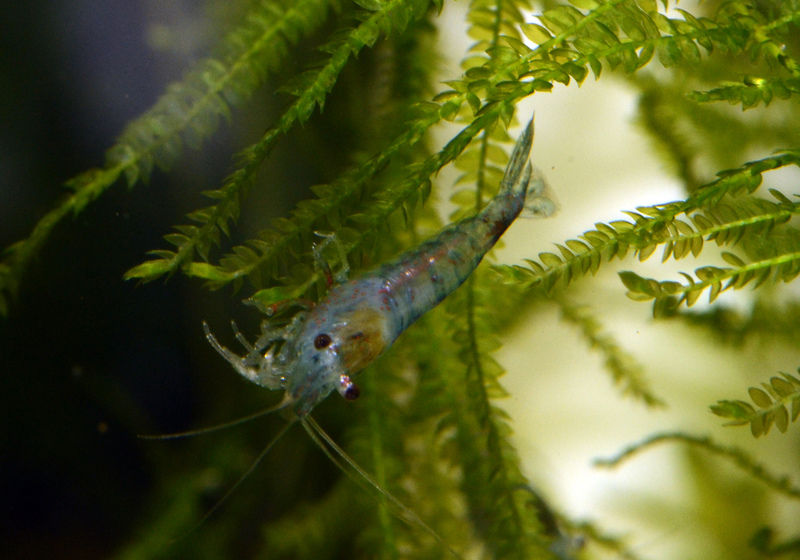 While feeding today, I took the opportunity to snap a few shots in a couple of my shrimp specific tanks.